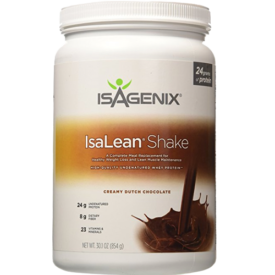 Home » Isagenix IsaLean Shake Review – Any Missing Nutrients? 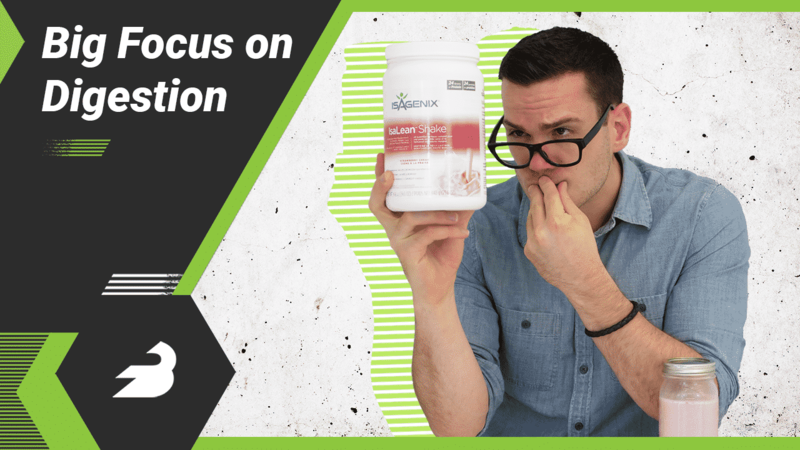 Isagenix IsaLean Shake Review – Any Missing Nutrients? 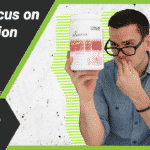 Based in Arizona, Isagenix is a nutrition company that tends to focus on weight loss. 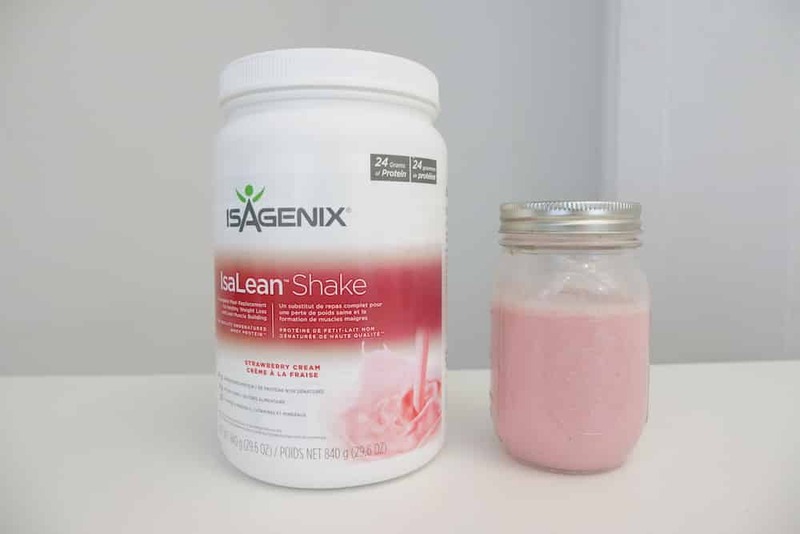 They sells plenty of other products as well, including cleanse shakes and flush shakes and shakes for heart health and immunity, but we wanted to take a close look at IsaLean. 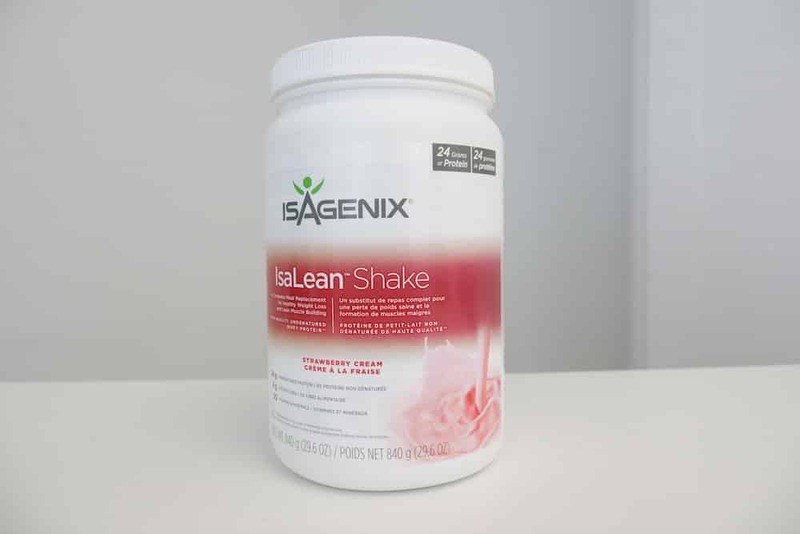 Perhaps their flagship product, IsaLean is labeled “a complete meal replacement” that’s “clinically tested to promote effective, healthy weight loss and lean muscle building.” It’s got 23 vitamins and minerals, 24 grams of protein, and 8 grams of fiber in every two-scoop serving. IsaLean comes in a few different varieties, including kosher and dairy-free, and their website even has recipes for using this powder in lower-calorie versions of ice cream sandwiches. We picked out Strawberry Cream from their flavors — let’s see what’s inside. Extraordinarily nutritious, big on digestive health, and with no artificial ingredients, IsaLean is a solid meal replacement if you're looking to cut calories. One serving is two scoops and it contains 240 calories: 24 grams of protein, 24 grams of carbohydrates (8 grams of fiber, 11 grams of sugar) and 5 grams of fat (1.5 grams of saturated fat). There’s 15 percent of the RDI of cholesterol and 11 percent of the RDI of sodium, which may be important for your diet. As for the rest of this product’s micronutrients, there are a lot of them, a full 23 vitamins and minerals. Very roughly speaking, there are between 50 and 80 percent of the RDI of these. There are some exceptions, like the 600 percent of your daily B12 and 450 percent of your daily biotin, but that’s more or less the lay of the land. There are just a few exceptions. There’s less than 10 percent of the RDI of iron and potassium, and there’s no Vitamin K or choline listed in the ingredients. That was a little disappointing. Isagenix is one of our favorite meal replacements available — take a look at who else topped the list. The majority of the ingredients are the vitamins and minerals themselves, like molybdenum for Vitamin B12 or ascorbic acid for Vitamin C, so I won’t go into every single one of the ingredients. Some of the nutrition comes from “natural” foods like beet juice powder and alfalfa. There are a few ingredients worth pointing out: the protein comes from whey and milk, and the fats come mostly from sunflower oil powder, olive oil powder, and medium chain triglyceride powder. The fibrous carbs come partly from flax seed powder and “digestion-resistant” isomaltooligosaccharide, which is considered a prebiotic fiber. Finally there are a nine digestive enzymes and some probiotic bacteria from the lactobacilus acidophilus strain. Those digestive enzymes are pretty cool. There’s lactase, lipase, cellulase, invertase, protease, amylase, bromelain, papain, and acid stable protease. Among some people, it’s possible that these may help to improve absorption and reduce digestive distress, particularly the lactase among people sensitive to lactose. The probiotic bacteria may also confer digestive health benefits and other benefits for athletes. The nutrients are very impressive — there really are a ton of vitamins and minerals here, besides the low iron, potassium, and Vitamin K, which disappointed me. But when people buy a meal replacement they expect a lot of vitamins and minerals and a decent amount of calories, and IsaLean has that. There are a couple of missing micronutrients and it’s a little low in fat, sure, but this is still a satisfying product. Plus, a lot of people will be happy with the fact that it’s gluten-free, soy-free, and free from artificial ingredients. You can pick up one tub of 840 grams for somewhere between $50 and $55. That contains 14 servings of two scoops, so you’re looking at a price of roughly $3.75 per serving. That’s pretty pricy for a meal replacement, which typically cost closer to $2.50 per serving. But since it’s all-natural and has a big emphasis on digestive health, you may find the price worth it. Since this is naturally flavored, I found it to be sweeter than it was flavorful. I must say I was impressed with the flavor, though. This is “Strawberry Cream” flavor and there was definitely a creamy note to the taste. More than anything, it tasted like watered down strawberry syrup with a hint of rosewater. This is pricier than I would have liked, but for all these vitamins and minerals and the digestive benefits, I’m pretty happy with this product. Just make sure you eat your spinach to get that potassium and Vitamin K.